Member clubs whose members performed & reported on five (5) or more outreach events in 2018 using the NSN event management system are qualified to receive pins. 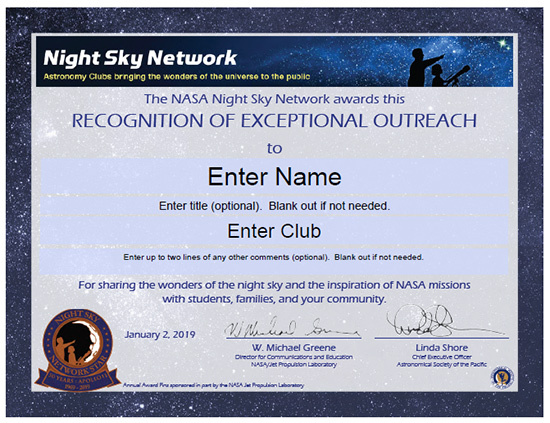 We do hope that you also report the use of any related NSN toolkit materials or related NASA resources in the event log as well, but that additional requirement is not necessary for pin eligibility this year. We have tips on how to submit event reports using the NSN's online event log system here. We also have tips on how to add events, so that you can then submit reports, here! As we look forward to 2019, we look back on one of of the most iconic achievements of the space age: humanity's first steps on the Moon! 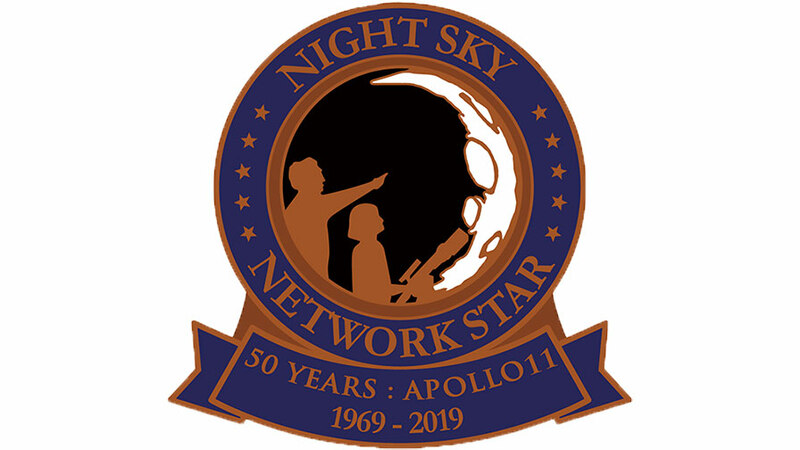 In honor of this historic event, the 2019 NSN Award Pin features the Moon as we celebrate "Apollo 11: 50th Anniversary." Pins will begin shipping to qualified clubs in the first week of January. Please let us know if you have a need for earlier delivery of the pins. We can ship urgent orders shortly after we receive the pins in our office (estimated to be in early December), but as the NSN staff will be out for much of the last half of December for holiday travel, early notice for urgent orders is much appreciated. Pins must be ordered by January 31, 2018, and all pins will be shipped by early February 2019. Quantities are limited! We have customizable award certificates that you can print to accompany these pins available for download. We recommend saving your choice of certificate to your computer and using the free Adobe Acrobat Reader to open the file, to prevent possible issues customizing them for your members. There are three varieties of certificate: color, black and white, and borderless for use with custom certificate paper. If you have any questions, please let us know at nightskyinfo@astrosociety.org. Thank you again!